Comfortable apartment in the city centre, walking distance to main attractions, near transports that will allow you to reach the other parts of the city, near shops and restaurants. 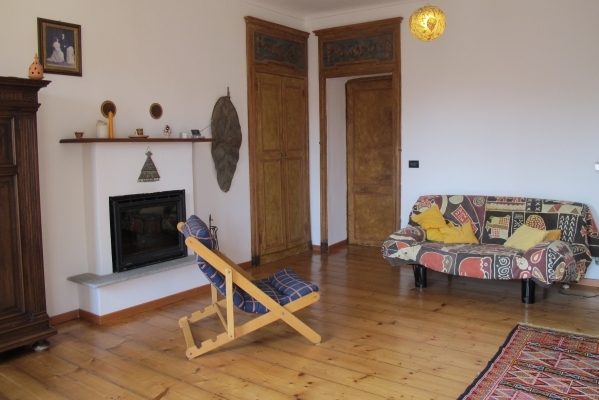 The apartment is located in the very heart of Torino within walking distance from the main cities' attractions. It overlooks the city's rooftops and has a view of the Alps and Turin's hill. The apartment is newly refurbished, very nice and welcoming, complete with dishes, hairdryer, linens, high chair for babies and sofa bed for two in the living room. It accommodates easily one family of four people. Located at the top floor with elevator of a typical period building with inner courtyard and entrance from the gallery. Possibility of attended car parking in the vicinity (65 € per week) and parking in the yard for loading and unloading luggage.